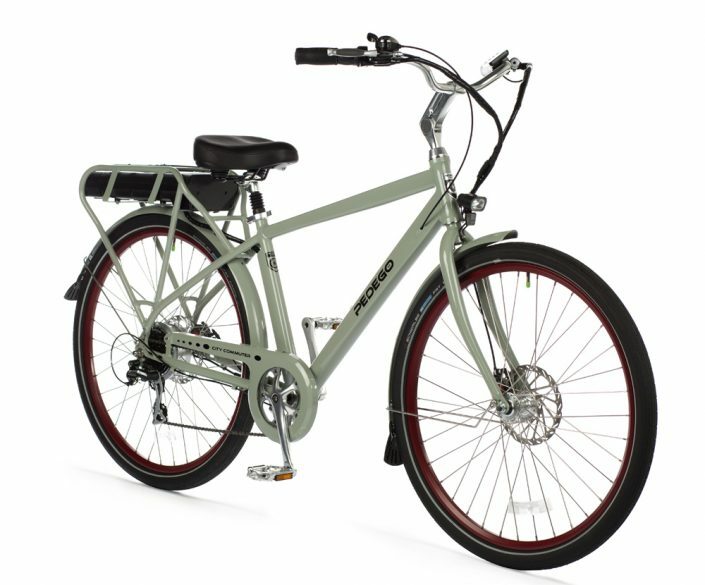 The Pedego City Commuter is the complete package - everything you could possibly want in an electric bike! This awesome bike was created with your comfort in mind. A quick release handlebar stem that allows the rider to quickly make adjustments for a perfect fit. A soft and luxurious saddle with suspension seat post makes for a, comfortable ride where it matters most, and premium balloon tires assure a smooth the package. 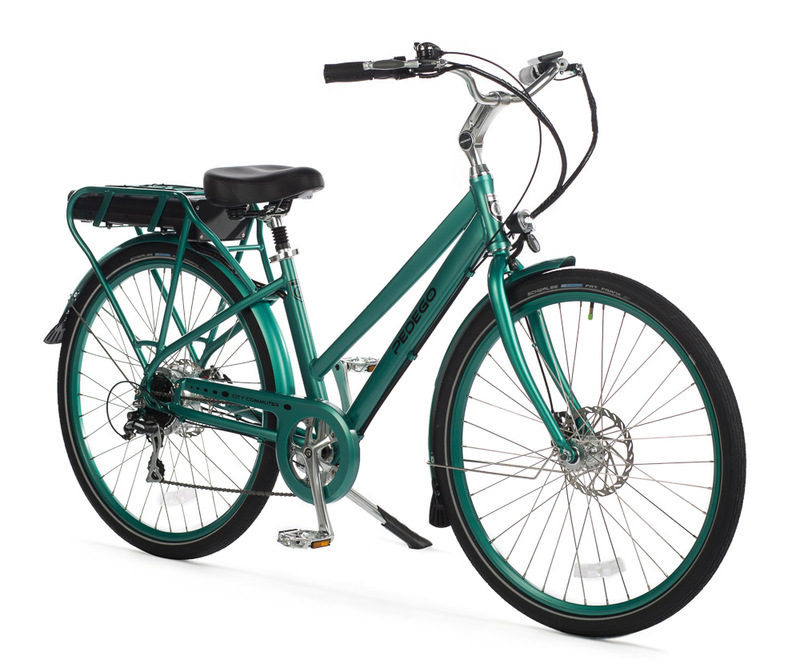 Available in 26" or 28" wheel sizes with a traditional or step-thru frame, and the option to select either a rear or mid-drive motor placement, the City Commuter is the perfect all around bike for any rider! A complete package with everything you could possibly want in an electric bike all in one place for a reasonable price. - Fenders with mud flaps keep you clean and dry. - Full coverage chain guard protects your clothing. - An easy access step-thru frame for easy of mounting and dismounting. 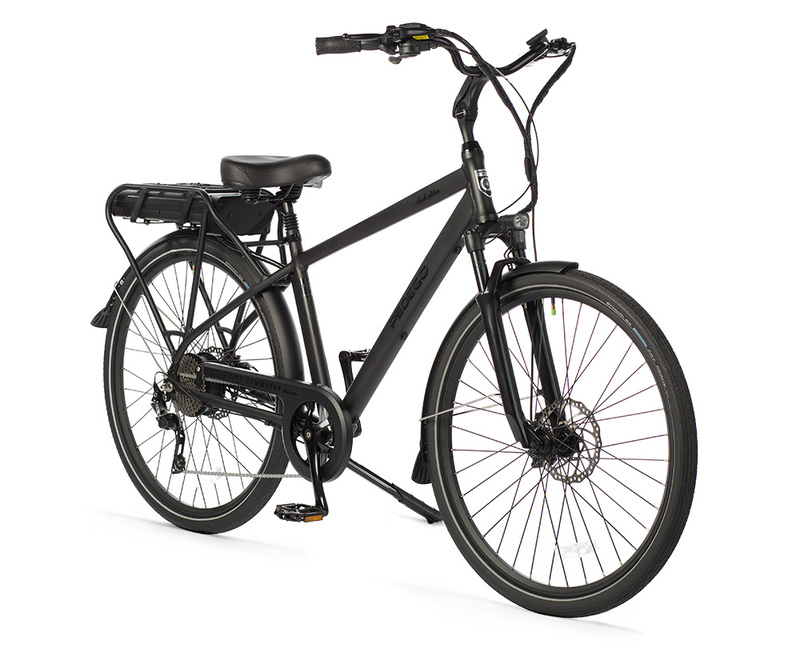 The City Commuter Black Edition is an electric commuter bike with no compromises! Fully loaded with practical features and all the premium upgrades you could ask for. - A larger front chainring and deluxe 10-speed drivetrain that provide fluid shifting and comfortable pedaling even at high speeds. - Top of the line hydraulic disk brakes that can stop on a dime with the greatest of ease. - A suspension fork that allows you to effortlessly glide over bumps in the road. City Commuter: Black Edition - Contact us for more info!